Arenal is located northwest of San Jose and is home to adventure, a lush rainforest and historically one of the most active volcanos in the country. The Arenal volcano, which resides in the Arenal Volcano National Park hosts an exciting array of activities well-suited for any traveler. If you are visiting on a clear day you will see the majestic conically-shaped Arenal volcano, dramatic against the blue sky and white clouds of Costa Rica. Though the volcano no longer produces lava, you now actually have the opportunity to take guided hikes in its previous lava fields! The majestic Arenal Volcano. Still active…still one of the best sights in Costa Rica. If you are looking for water adventures while visiting Costa Rica, Arenal boasts plenty of high adventure and conversely relaxing opportunities to soak it all in. If you are a thrill seeker, be sure to try canyoning (accompanied by a local professional guide), down a series of waterfalls in the Arenal Volcano National Park. 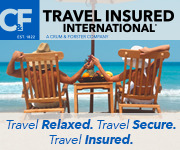 You can rest assured that Costa Rica Escapes will provide you with a safe and trusted company to guide you. While it is an exciting and challenging adventure that may not be suited for the faint of heart, it is a safe trip that works to accommodate all levels of daredevils. Additional water activities found in Arenal include a whitewater rafting trip, visiting the Arenal Lake on the western side of the Volcano, going out on a boat safari through the rainforest or renting kayaks for the day. To top off any water lover’s day, be sure to end the day in one of the many thermo-mineral hot springs Arenal has to offer. Take the time to rest your tired feet in these therapeutic hot springs and pause to relish in the memories of the day. While there are many different thermo-mineral hot springs offered, some are more spectacular than others. Many different experiences can be arranged, whether you’re looking for a family friendly location, an all-natural spring or a more exclusive experience. Soaking in the hot springs…one of Arenal’s finest pleasures. If water activities are not your thing, head into the rainforest to view some of the most vivid biodiversity in all of Costa Rica. You will be amazed by the scenery on many of the local hiking trails in the area as colorful butterflies, birds, frogs, and beetles dot the landscape. A memorable hike that you will be sure to tell your friends about is the Rio Celeste guided hike where you will view a one of a kind aqua-blue waterfall and river. Getting to this waterfall on your own can be a challenge so be sure to mention your interest (in this hike) so we can provide transportation to and from with the accompaniment of a local bilingual guide. On such a tour, you will learn about what natural events occur to bring about the iridescent aqua-blue waters, and your guide will point out miraculous local flora and fauna that the rainforest has to offer. If you keep a keen eye out, you may spot sloths hanging out in the nearby trees, colorful birds, white-faced capuchin monkeys, snakes, deer, frogs and other creatures not commonly found in other parts of the world. Additional outdoor activities include horseback riding around the Arenal volcano, mountain biking, bird watching, checking out the nearby underground Venado Caves, walking across hanging bridges or living out your dream of swinging through the canopy like Tarzan in one of the adventure-filled canopy parks. Hikers and nature lovers will fall in love with Arenal and the many land activities that are available. If you are looking to explore the local culture, be sure to visit the small town of La Fortuna. Here you will find nightlife, local restaurants, grocery stores, pharmacies, and artisanal shops. If you are looking for a local experience while visiting La Fortuna, be sure to visit the local farmers market. Here you will see a colorful display of many varieties of fruit and vegetables that are available for making some of Costa Rica’s traditional dishes. This is a great opportunity to try tamales, homemade bread, rice and beans, and pork rinds. Not only is this a chance to experience an authentic Costa Rican farmer’s market, but you are also supporting small-scale farmers in the area. A trip to the rainforest also means a trip to a humid and warm climate, year-round. The weather patterns are influenced by the powerful Atlantic and Pacific oceans. Nights can be a bit cooler and provide a comfortable condition for sleeping. Many lodging options in the area do not provide AC so if this feature is important to you during your stay, let your Costa Rica trip planner know so they can do their best to accommodate your needs. Be sure to pack a pair of long pants and long-sleeve shirt (for the evenings), a swimsuit and water shoes for water adventures, sunscreen, bug spray, a light rain jacket, walking shoes, a small backpack for excursions and a canteen to stay hydrated. If you are visiting during the rainy season which runs from May to January try to bring quick drying clothes with you. While the rainy season is invariably very wet and humid, it is also a chance to see the area in its most vibrant state. If coming in February to April, you will be there during the drier season. With so many options for adventure and leisure in Arenal, we can make sure that your stay in Arenal is optimized to meet you and your traveling companions’ needs. The majority of excursions around Arenal are within driving distance from many of the lodging options and could require driving on your own if you do not book with an agency. This can be difficult as the roads can be rough, poorly marked and local driving customs may make it stressful and difficult for many foreign drivers. In Arenal, nearly every type of traveler experience can be arranged. Whether you are looking for an adventure with a group of friends, a family experience for all ages or a romantic getaway in Arenal, Costa Rica, we can plan a customized trip for you. Contact us below.